After several attempts, I’ve finally perfected how to smoke a turkey! Smoking turkey is no easy task, as it can dry out very easily. My recipe will give you juicy smoke filled turkey meat that will leave your guests raving. We had a family get together last weekend and since I love Thanksgiving, we had a pre-Thanksgiving feast. I was banking on having some leftover turkey sandwiches, but nope! My family devoured the entire bird. Now before I get to the turkey recipe, I want to take a brief moment to talk about something very dear to my heart…GRAVY! Most gravy packets have a recipe where you can add turkey drippings. Let me tell you, adding smoked turkey drippings will take your gravy to the next level! My Brother-In-Law told me it was the best gravy he’d ever had in his entire life. I agree, smoked gravy is to die for! There are really three major parts to smoking a turkey. First you need to brine the turkey, then you smoke the turkey, then you cook the turkey. I’m going to walk you through how to do all three. A turkey brine consists of totally submerging your bird in water mixed with a ton of spices (similar to marinating other meats). This is extremely important as it is what infuses your meat with juicy goodness and ensures your smoked turkey doesn’t dry out – don’t skip this step! I brine my turkey for 24 hours, but anytime between 12 and 24 hours will work great. I like to brine my turkey in a 5 gallon Home Depot bucket. The turkey fits perfectly into the bucket and it’s easier to transport than a bag (you can buy special turkey brine bags) in my opinion. You want to give yourself plenty of time as you want your turkey mostly thawed before you put it into the brine. 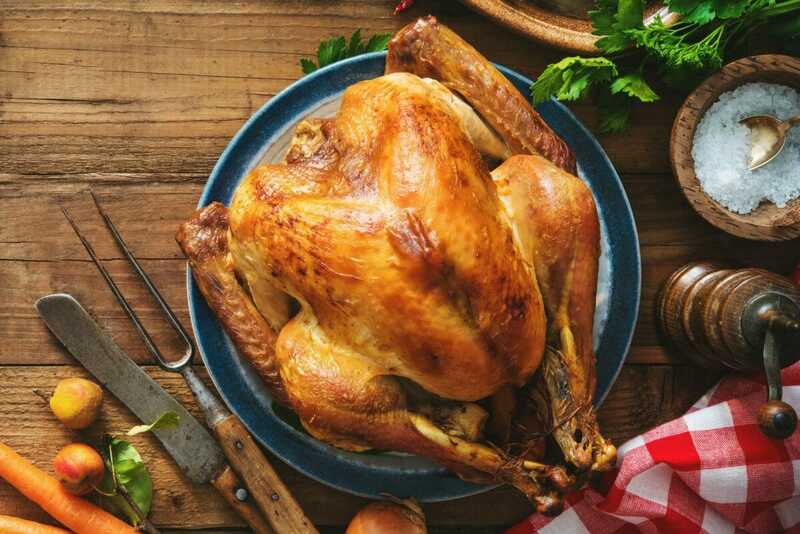 As most turkeys come frozen you will want to give yourself at least 2 days lead time before Thanksgiving – one day for thawing and one day for the brine. 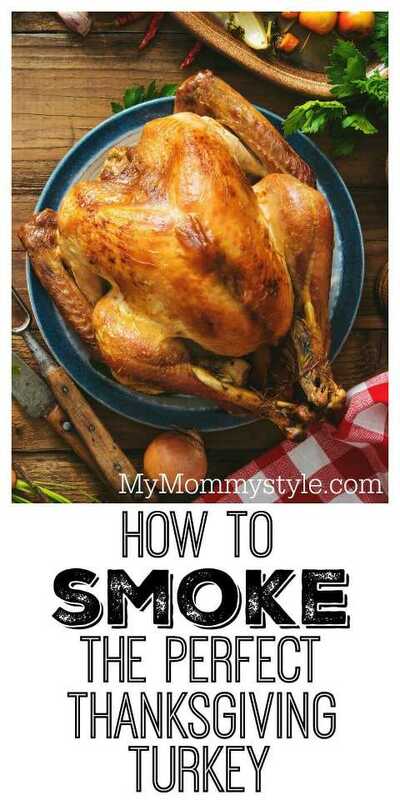 We take you through the three step process of how to smoke a turkey this Thanksgiving. We will show you how to brine, smoke, and cook the perfect Thanksgiving turkey. Pour water into a 5 gallon Home Depot bucket (or similar plastic bucket). Mix into water: Traeger Pork & Poultry Rub, sugar, minced garlic, and Worcestershire sauce and stir until fully dissolved. If you can't find Treager Pork & Poultry Rub, here is a link to a good replacement. You want about 1 cup of rub which this recipe will give you. Make sure your turkey is mostly thawed and remove any giblets (usually inside the chest cavity - sometimes in a plastic bag). Place the turkey in the brine filled bucket with the breast side down. 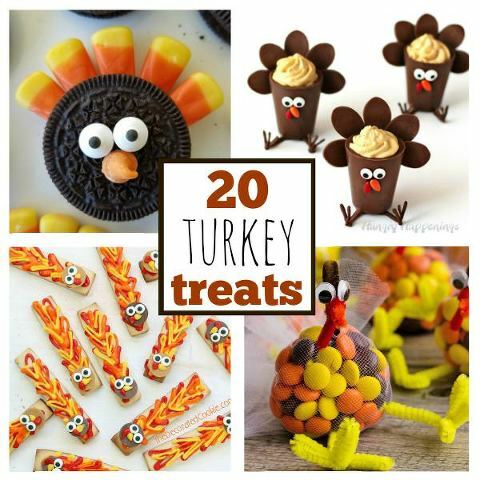 Make sure turkey is fully submerged in your brine. Place the bucket in a refrigerator or if you live in a cold temperature area, place in your garage. Brine for 12-24 hours. I prefer closer to 24 hours. Remove and pat dry when ready to cook. Place turkey breast side up in a disposable aluminum roasting pan. Rub canola oil all over the entire turkey, and you are ready to begin smoking your bird. First you will smoke your turkey for 2 1/2 to 3 hours. On my Traeger Pro Series 22 this means setting the dial to smoke. If you don't have a smoke setting you want to set your smoker to 150 degrees. After your turkey is smoke infused, set the temperature for 350 degrees and cook until your turkey reaches an internal temperature of 170 degrees (usually 3-4 hours depending on the size of your turkey). If your turkey comes with a pop-out thermometer that's a pretty good indicator of when it's done. Remove from smoker and wait 30 minutes until carving. Please, Please, Please save the drippings for use with gravy. Smoked drippings in gravy will blow your mind!